Locksmith On Demand is a national based locksmith brokerage company that provides quality enquiries to locksmith in different area. 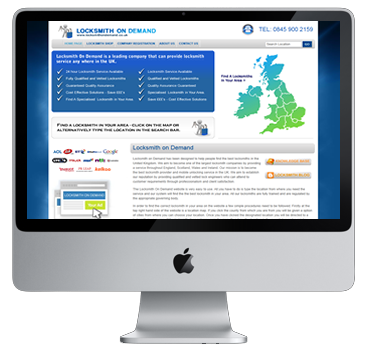 In the past year Locksmith On Demand has become the largest locksmith company in the United Kingdom and over 100 locksmiths in all different areas have registered. This project was undertaken on the 11th August 2010 after being let down by several optimisation companies. However within a 8 month period the website is currently widley regarded as the fastest growing locksmith related website in the United Kingdom.